Another interesting colorway of the Zoom Kobe VII expected to release later this year surfaces on the web. 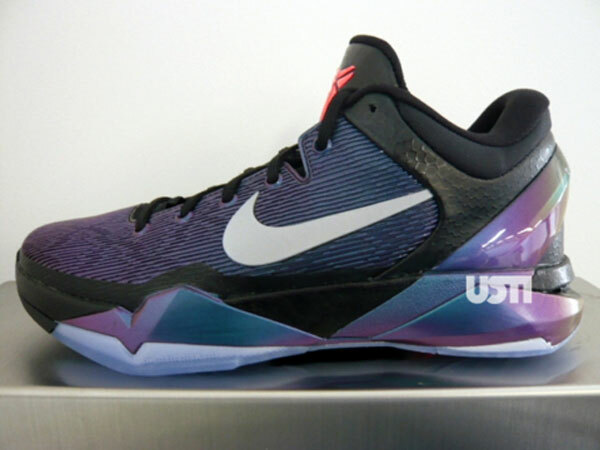 Another interesting colorway of the Zoom Kobe VII expected to release later this year surfaces on the web, working with a clean combination of black, purple and red. Displaying a unique look, the Zoom Kobe VII is covered in a blue to purple fade, with black acting as the base color and a contrasting white Swoosh. The interesting fade also handles the external heel counter, as well as the molded midsole down below. No word on an official release just yet, be sure to stick with Sole Collector for further details.